Legacy of Egypt is a PlayNGo 30-payline online slot showcasing the grandeur of ancient Egypt. Images of Egyptian royalties and popular deities land as top paying symbols; garnering payouts when aligning as matched elements in a paying line. The Egyptian Queen for one, is the highest paying regular element. When converging as a set of 3, 4 or 5 icons in any payline, the longest Queen combo earns a cash reward equivalent to 20x, 75x or 300x the Line Bet. Alike images though, complete a winning combination only if they converge as payline contents starting from the leftmost reel. The Scarab image acts as Wild Symbol that greatly improves chances of completing winning arrangements. At the same time, Scarab Wilds can also form matched combos just like a regular symbol. Three, four, or five Scarab images creating a payline win, awards the highest rewards; 30x, 100x or 500x the amount staked as Line Bet. Wild Symbols have greater impact in free rounds because every bonus spin comes with a dynamic Win-Multiplier. Moreover, the Pyramid Bonus Symbol gets to act as Extra Wild that further boosts chances of hitting bonus wins. Three or more Pyramid icons landing on any reel, activate the “Wheel of the Gods” bonus round. In addition, the Scatter Combination awards an instant cash prize equal to 5x the current Total Bet. 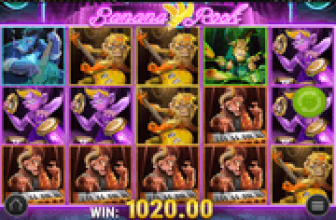 The number of free-spins awarded depends on the prize landed by the bonus wheel. A single spin may bring three (3) bet-free spins at the least, or 20 bonus spins at the most. The greater the number of spins awarded, the merrier. After all. 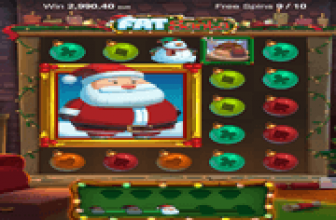 a win-multiplier increases all winnings achieved by each bonus spin. • Extra Wild – In free rounds, the Pyramid icon has dual significance as bonus symbol and Extra Wild. 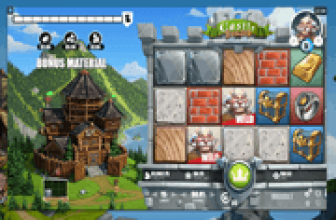 • The Multiplier Reel – During an ongoing bonus round, the Multiplier Reel at the top of the grid will likewise spin. An array of Multiplier values, simultaneously spin horizontally with every bonus turn. Once all reels, including the Multiplier Reel, completes a roll, the factor landed will then apply to all winnings garnered by the bonus spin. • Pyramid Spins activate when two or more Pyramid Bonus Symbols land as outcomes of a free spin. The “Wheel of the Gods” reappear to award another set of bonus rolls; anywhere between 3 to 8 Pyramid Spins. The Multiplier in play when the Pyramid Spins triggered, will remain constant throughout the mini bonus round. Once completed, bonus players will run any remaining free-spins originally awarded by the bonus round. It is possible to reactivate the Pyramid Spins Wheel Bonus. In fact set after set of additional free-spins unlocks every time two or more Pyramid Symbols emerge. Legacy of Egypt online slot awards bonuses via free rounds that constantly produce a win multiplier by way of a Multiplier Reel. Moreover, Pyramid Spins extend a bonus round, possibly even repeatedly; albeit maintaining the last Multiplier achieved by non-Pyramid Spins.